With my day four post, I imagine what it must be like to read these blog entries from a desk or from any other home environment, looking at the Fitness Adventure Travel web page. You are already on the website, which means that you are interested in doing something out of the ordinary, getting your body back, or are thinking about a serious life style change. “FITNESS” might mean something different for you than it does for me. This morning, I taught a class to the most unique group of people from all over the world. After the class, everyone mingled and talked about their lives. I was astonished at how many people wanted to keep training. They want to be fit; they want to come to a resort and eat right and be guided through the torture of sore muscles, and massaged by a dedicated representative. “FITNESS”, for my trainees and for myself, is a practice that needs consistency and guidance. Even the best trainers and bodies need coaches. Maybe “FITNESS” doesn’t have such a different meaning after all. All I can say about fitness training and Fitness Adventure Travel is that I am sitting under a shaded lattice, with a fountain to my left and a pool to my right; I am staring straight ahead through the palm trees into the lavender fields. In two minutes, I teach a boot camp class and after will treat my participants to a massage at the Hammam. Fitness might mean different things for different people, or maybe it doesn’t. But life is about the opportunity you provide and give yourself. Take a look at where you are sitting? What do you see? 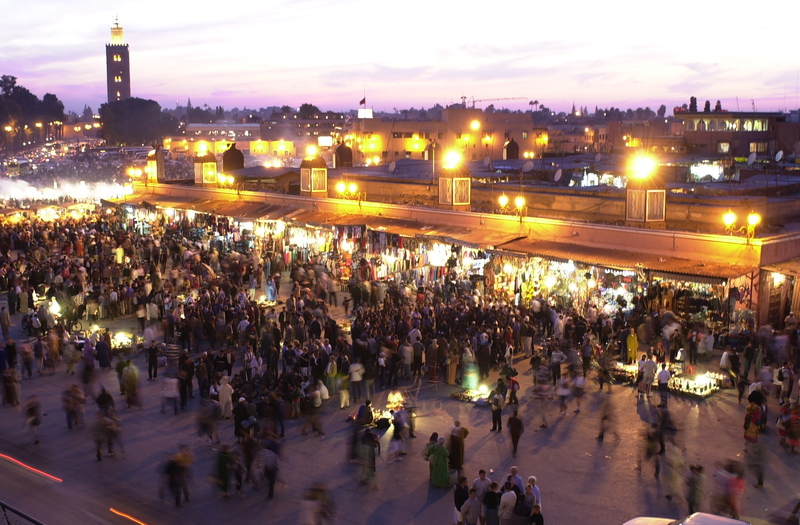 Come to Marrakech and it will change your life.